Day Two: Two down, and two to go! Enjoy two more educational and inspiring dives on the house reef refining your diving skills and building confidence. After you have completed all four “check-out” dives, our PADI instructor will sign your Referral Forms to verify completion. You are then free to spend the rest of your vacation as a newly certified diver! 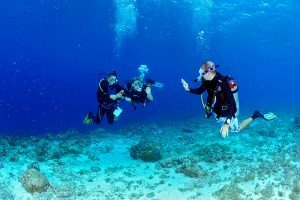 4 open water shore dives with your instructor.